Here's the first of three useful videos about looking for work by Proff. Tony Atwood. There are a number of different ways to find a job but the first thing you must do is to think about the type of work you are looking for. If you haven't already done so have a look at our section on career advice. You will find lots of great resources to help you decide what type of job might suit you. Once you work out the kind of work you are interested in, it's time to start looking for a job that fits the bill. You probably won't get the dream job first go - think about your first job as being a step in the right direction. Most people these days look for jobs online. There are a number of websites that advertise job vacancies - the most commonly used would include Seek and Career One. Websites such as these allow you to search for particular job types in your location. You can also set up email alerts so that you are notified each day of new jobs. Of course, there are other ways of finding a job. One of the best ways is to use you or your family and friend's contacts. See our Building connections page. Let people know you are looking for work. Be prepared to volunteer initially or to do a work trial. Local newspapers also have a job vacancies section - the advantage of these positions is often that they are located close to home. You can also be proactive and approach potential employers yourself. Send in your resume as an expression of interest for any upcoming opportunities. If there is a particular business that you would really like to work for contact them and ask if you can meet with the Manager or send them your details. Your timing could be perfect! If this seems a little daunting to you, there are people who can help you look for suitable work. Disability Employment Services (DES) provide job search assistance - read more about DES here. Click on Our Stories on the right hand side of the page or click here to read personal stories about getting a job. Once you find a job that you are interested in you will need to submit an application. You usually have to submit a resume: a document outlining your personal details, education, work history and references. There's a very useful summary page about creating a CV on the Ambitious About Autism website here. If you need help with any of this, ask your parents or disability service provider. They can help you during all stages of the job hunting process. You are usually required to attend a job interview before the chance of a job offer. This can be nerve-wracking for anybody but they are necessary. Everyone who is working has been interviewed, sometimes many times over, and survived...and you will too! Making a good impression at a job interview is very important. Your autism affects your social communication so you may need a lot of practice to make sure that you can present yourself comfortably and confidently at an interview. You need to let the interviewer see all your strengths. Everyone benefits from learning the skills that make interviews manageable and successful. Remember, doing an interview well is a great success in itself. If you get the job, fantastic! But don’t be disappointed if you go to several interviews before being offered a position. This is totally normal. Your interviewing skills will improve as time goes on, very few people get it right the first time. If you take part in a post school program such as Transition To Work, interview skills and practice are covered as part of the program. Ask your program manager to make sure you are given plenty of training in these skills. If you are female and just don't have smart clothes for working, check out Dress for Success a charity providing professional clothing free of charge plus careers advice and support. There are several operations in Australia. You may also want to have a look at our Looking good section. The JobTips website has a comprehensive section on preparing for interviews. It covers what to wear, how to present yourself, answering questions and what happens after the interview. Everything is presented using videos as well as text and printable downloads. This site has an annual fee for complete access. There is also an online interview skills training website which, like JobTips, costs an annual fee to join up to. You can sign up for a free trial. This program uses an online interviewer called Molly Porter who asks questions and gives feedback on answers. Here are some tips on applying for jobs from Barclays Bank in the UK. This is from the excellent website Ambitious About Autism. And you might like this article from the Huffington Post: 10 Tips to Help Young Adults With Autism Transition Into The Workforce. There are a number of different ways to find a job but the first thing you must do is to work out the type of work your son or daughter would be interested in. If you haven’t already done so have a look at our section on career advice. You will find links to lots of great resources to help them work out what type of job might suit them. Once you know the kind of work they are interested in, it is time to start looking for a job that fits the bill. Let them know that they probably won’t get the dream job first go – they should think about their first job as being a step in the right direction. Most people these days look for jobs online. There are a number of websites that advertise job vacancies – the most commonly used would include Seek and Career One. Websites such as these allow searches for particular job types in your location. Your son or daughter can also set up email alerts so that they are notified each day of new jobs. Of course, there are other ways of finding a job – one of the best ways is to your contacts . Ask family members and friends whether they would consider giving your son or daughter a job, even if it is a volunteer or on a work trial initially. 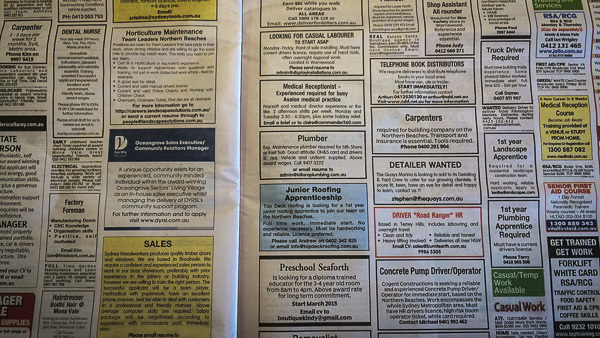 Local newspapers also have a job vacancies section – the advantage of these positions is often that they are located close to home. They can also be proactive and approach potential employers themselves – they can send in their resume as an expression of interest for any upcoming opportunities. If there is a particular business that they would really like to work for, encourage them to contact them and ask if they can meet with the Manager or send their details. There is more information about job searching here on the My Future website. 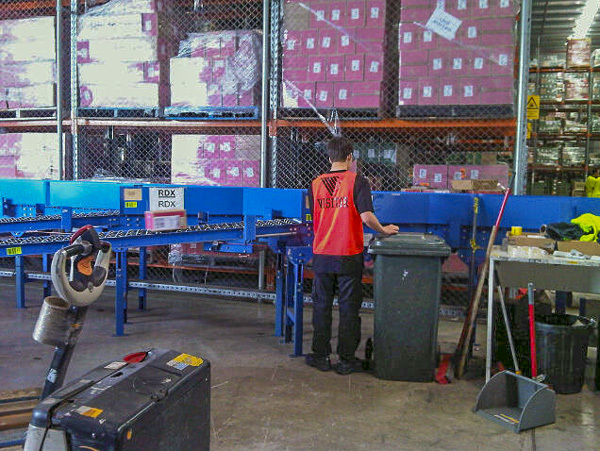 Disability Employment Services provide job search assistance – read more about Disability Employment Services here. Also, if your son or daughter is in a Transition to Work program or other post school program then finding a job will be a big area of learning within that. Once you find a job that they are interested in they will need to submit an application. There are some great tips for responding to job advertisements here, again from the My Future website. They will usually have to submit a resume. For information on how to create a resume and for sample resumes that you can use as a template, have a look at the Create A Resume that Stands Out section on the My Future website. This will be tricky for some young people. You might need to assist them or get them to ask for help from their disability service provider. Because autism affects social communication, your son or daughter might need a lot of practice before they can present themselves comfortably and confidently at an interview. There are some great job interview tips here that you can read through and go over with your young person. You could suggest putting these tips into practice by doing some role playing. If they are in a Transition To Work or other post school program, interview skills and practice are usually a big part of the program. You can check with the program manager to ensure that there is plenty of training in these skills. The JobTips website has a comprehensive section on preparing for interviews, what to wear, how to present yourself, answering questions and what happens after the interview. Information is presented using videos as well as text and printable downloads. You pay an annual fee to access the entire JobTips website. This could be something that can be included in a Transition To Work program. This program uses an online interviewer called Molly Porter who asks questions and gives feedback on answers. This program was developed from university research and has been evaluated as being successful at improving skills and confidence. This is another program that may be possible to access through your Transition To Work. It’s always worth asking. 10 Tips to Help Young Adults With Autism Transition Into The Workforce.